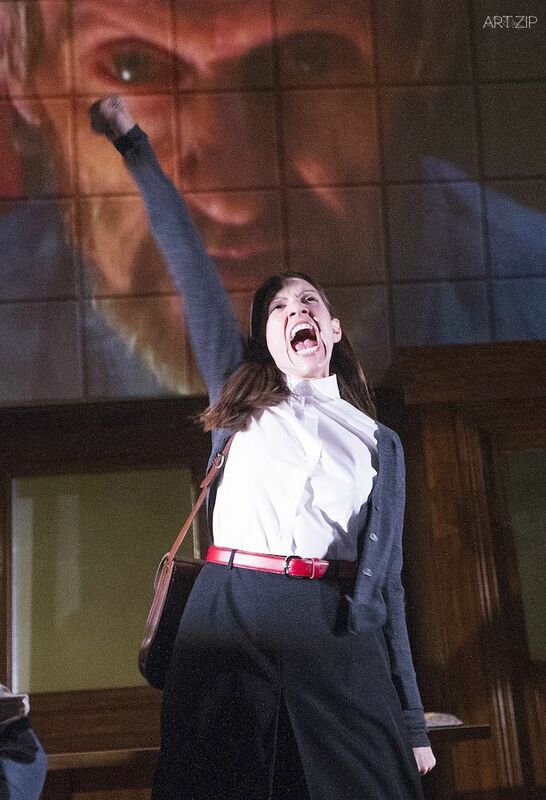 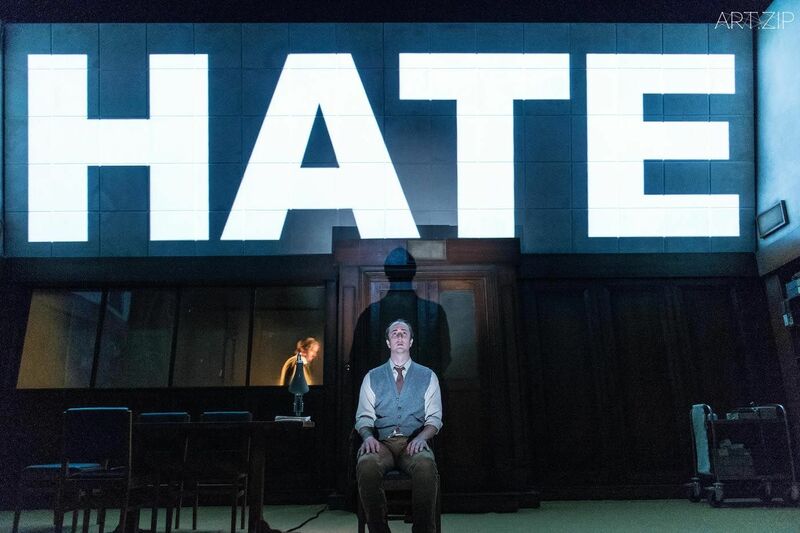 Robert Icke and Duncan Macmillan have created 1984, originally written by George Orwell, into a new adaptation. 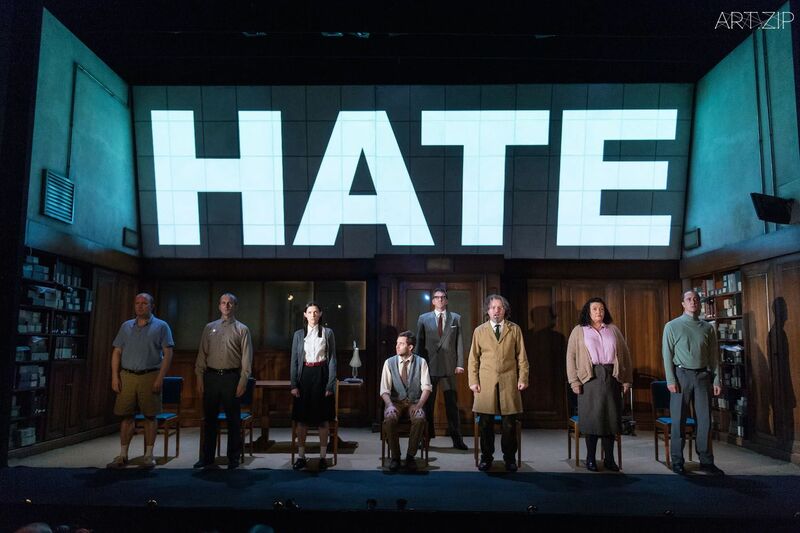 Due to unprecedented demand, a 5-week extension is announced for the Headlong, Nottingham Playhouse and Almeida Theatre production of 1984, a critically acclaimed adaptation by Robert Icke and Duncan Macmillan. 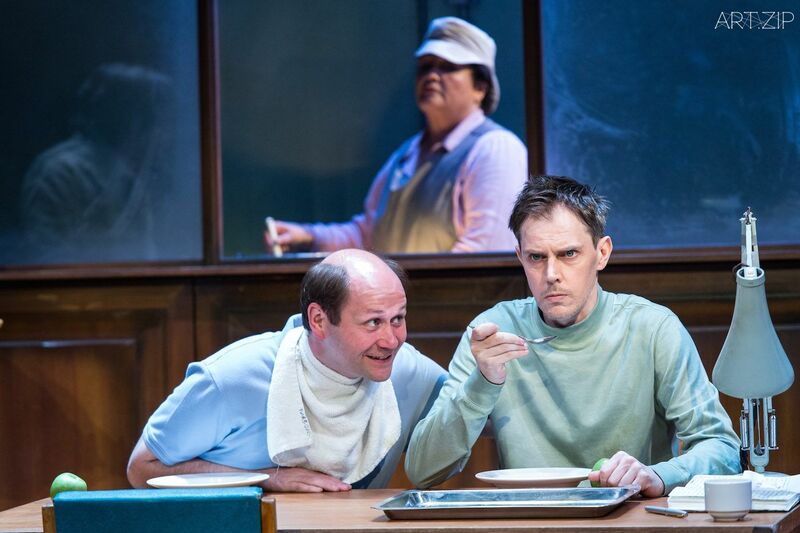 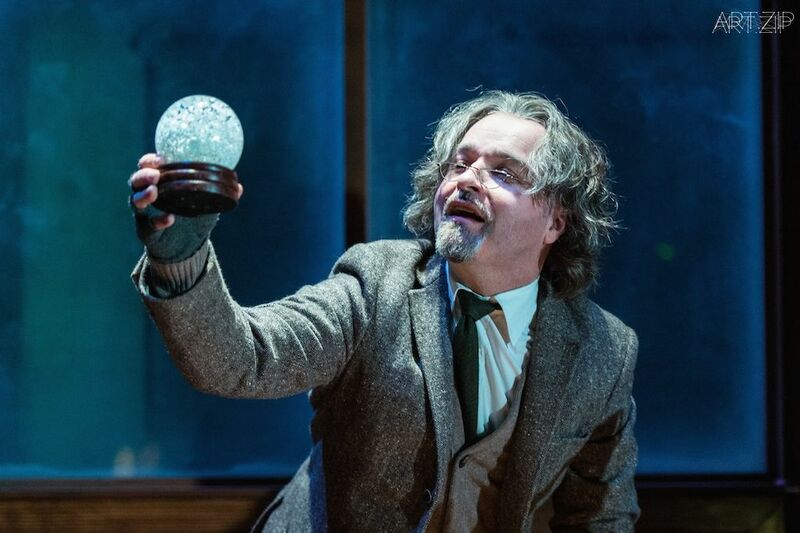 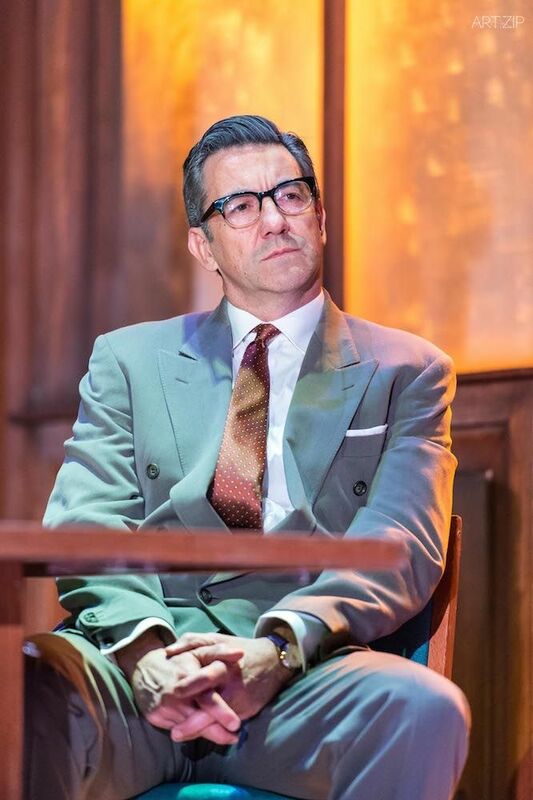 The production has been run at the West End’s Playhouse Theatre until 23 August 2014 (previously 19th July 2013), prior to a second UK tour in the autumn, as previously announced. 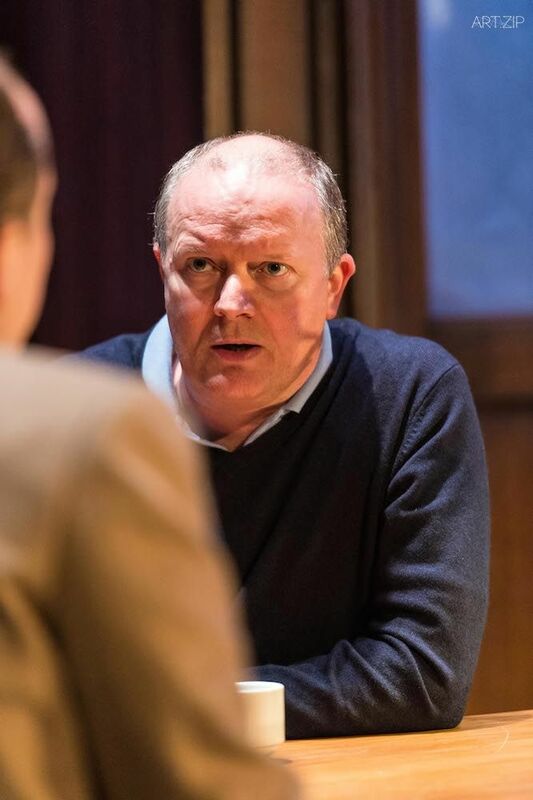 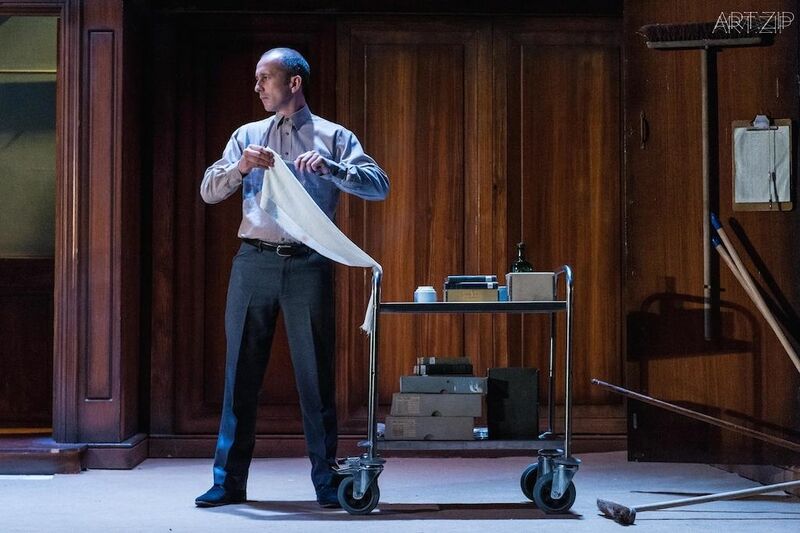 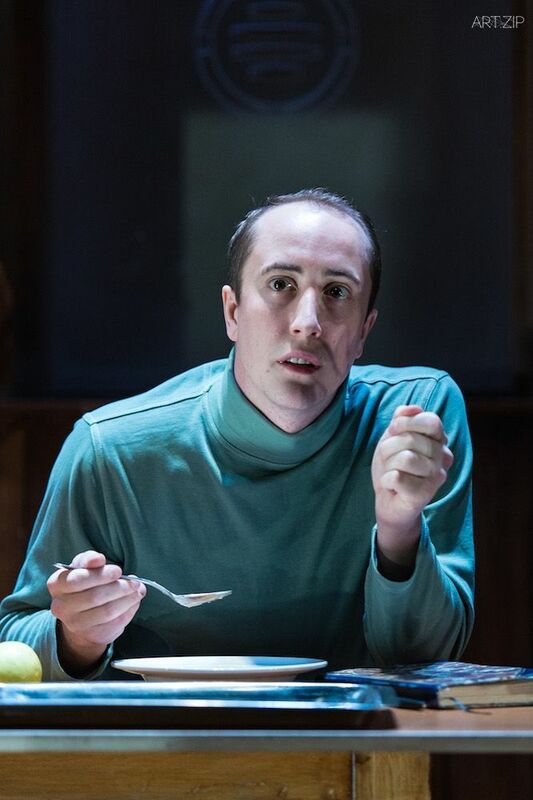 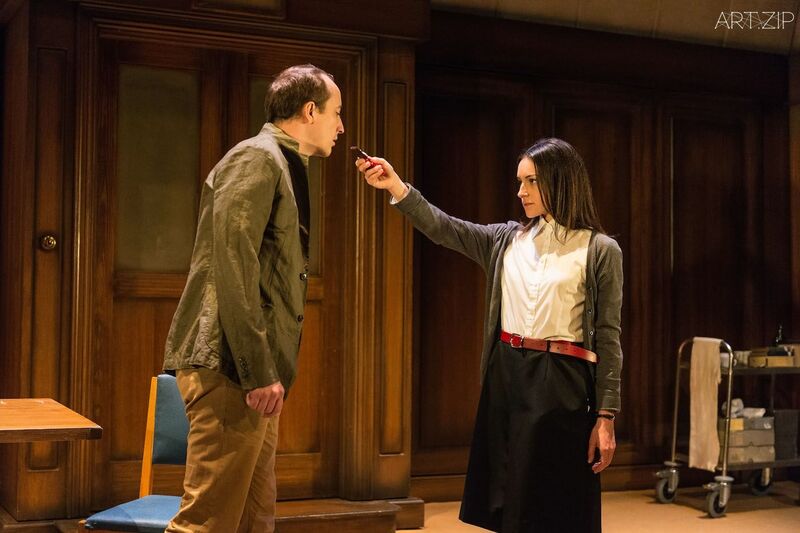 Robert Icke and Duncan Macmillan’s adaptation of George Orwell’s 1984 opened in the West End on 28 April, transferring directly from the Almeida Theatre. 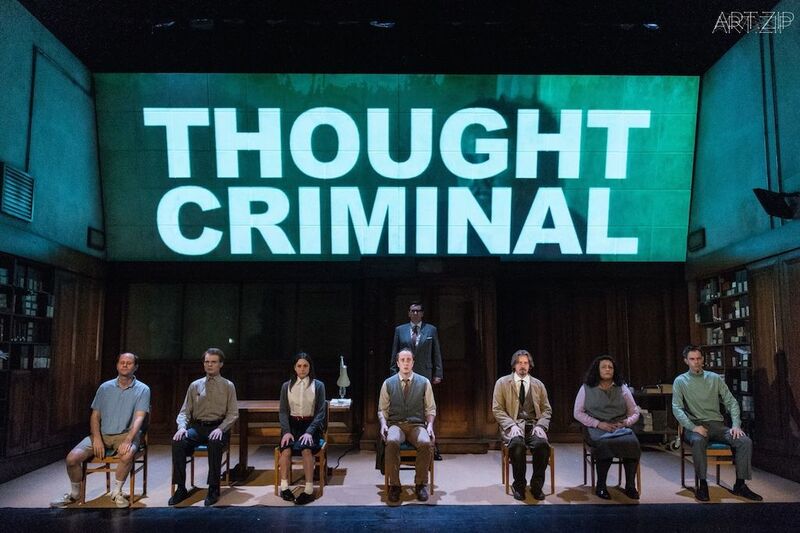 1984 is written and directed by Robert Icke and Duncan Macmillan, set and costume designed by Chloe Lamford, with lighting designed by Natasha Chivers, sound designed by Tom Gibbons and video designed by Tim Reid. 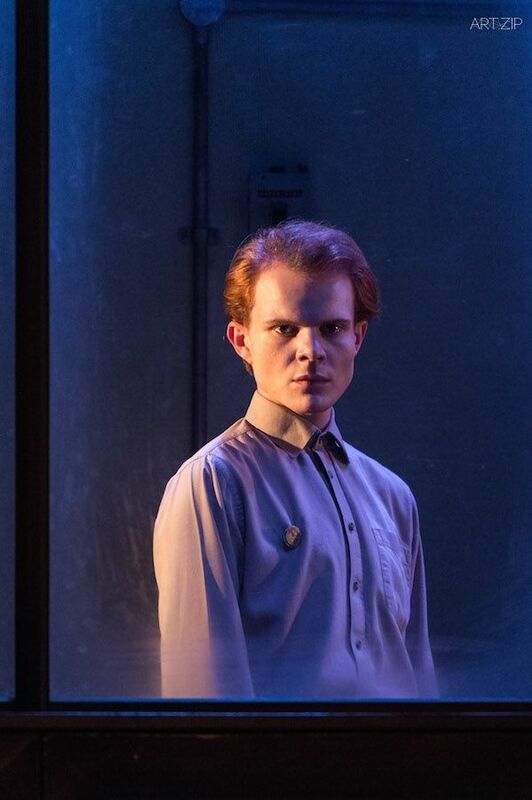 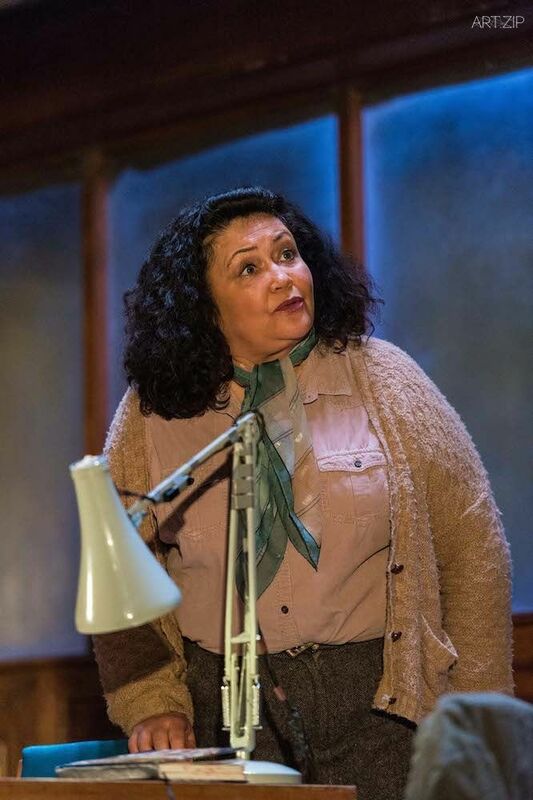 Originally produced by Headlong and Nottingham Playhouse, 1984 had its world premiere at Nottingham Playhouse in September and went on to enjoy a hugely successful UK tour and a 7-week run at the Almeida Theatre. 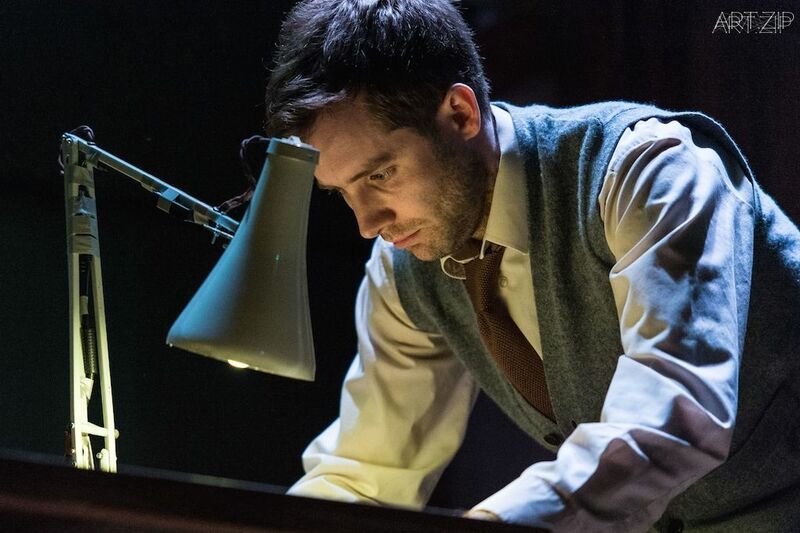 Filtering the spirit and the ambition of the novel through the lens of contemporary culture, this radical new staging explores surveillance culture, identity and how thinking you can fly might actually be the first step to flying.